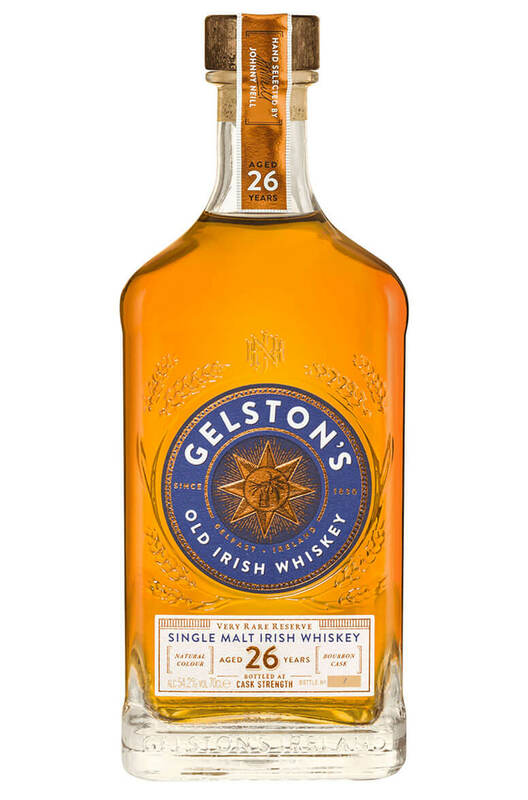 This wonderful 26 year old single malt, bottled for the Gelston's range, was recently revived by the creator of Whitley Neill gins- Johnny Neill. The whiskey is named for Samuel Gelston who owned a wine and spirits company in Corporation Strett in Belfast in the 1830s, when he died the business was handed over to the Neill family. This whiskey is matured exclusively in ex- Bourbon casks and is bottled at Cask Strength. Nose Light and fruity with a hint of spice. Palate Chocolatey with excellent body and honey coating. Distilled at Bushmills near the Antrim coast and matured in a coastal location for the full 15 years..